This is my kind of charter, two boys eager to catch fish and their Dad eager to see them catch fish. 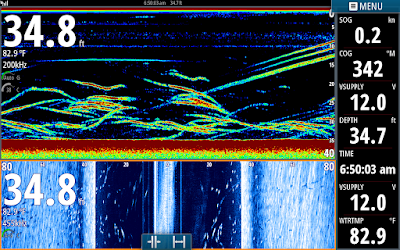 Right at first light I set them up on a school of Stripers. 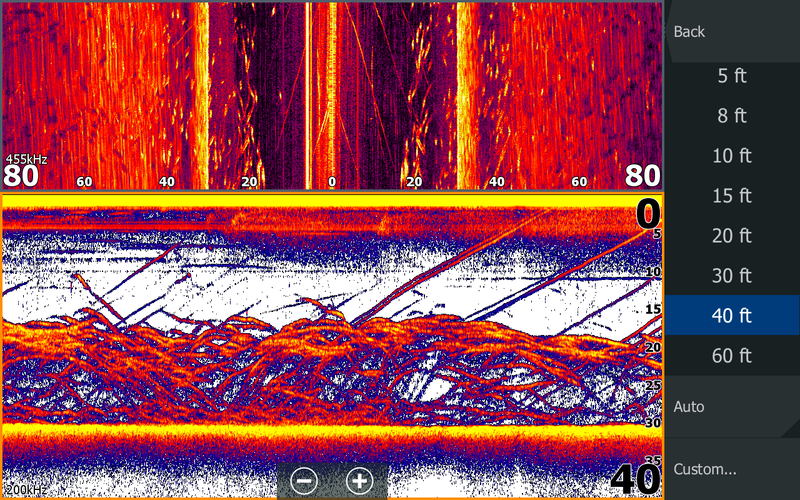 We no sooner put the baits in the water before the rods started bending over. An hour later we had boated 20 fish a were ready for a break. We hit a couple more ares with limited success then I set up over a 18 foot structure and hooked into a couple of big uns. 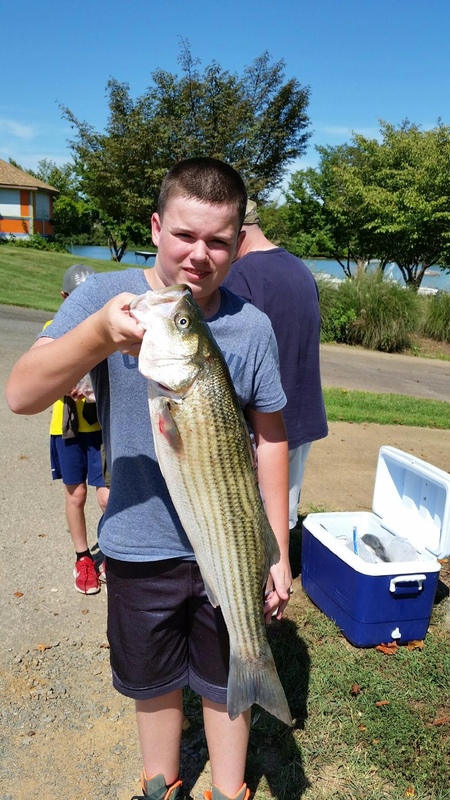 Benny caught the first big fish and thought he was the cats meow until Alec hooked up and when his fish rolled about 30 yards from the boat everyone gasped. The boys did great today catching about 40 to 50 fish. Not a bad way to spend the morning on the water watching boys catching fish. A couple of weeks ago I took out a group of guys and Tony took out the rest. As we were departing from the dock the guys on my boat pitied the other boat because Roy was on it and he had a reputation of not being able to catch fish. 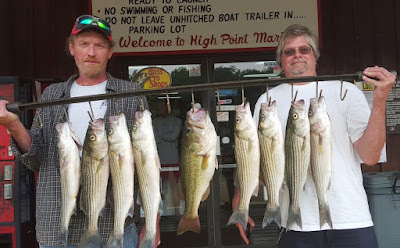 Well we fished all morning and came back t the dock that day and we had a nice stringer of fish but Tony's boat had 0. After taking pictures that day Roy said his father in law was coming from overseas and loves to fish, would I take them out , even with the monkey on Roy's back. I said Bulls__t, lets go and we will catch plenty of fish. Well if anyone sees a monkey swimming around the lake, it is finally off of Roy's back. 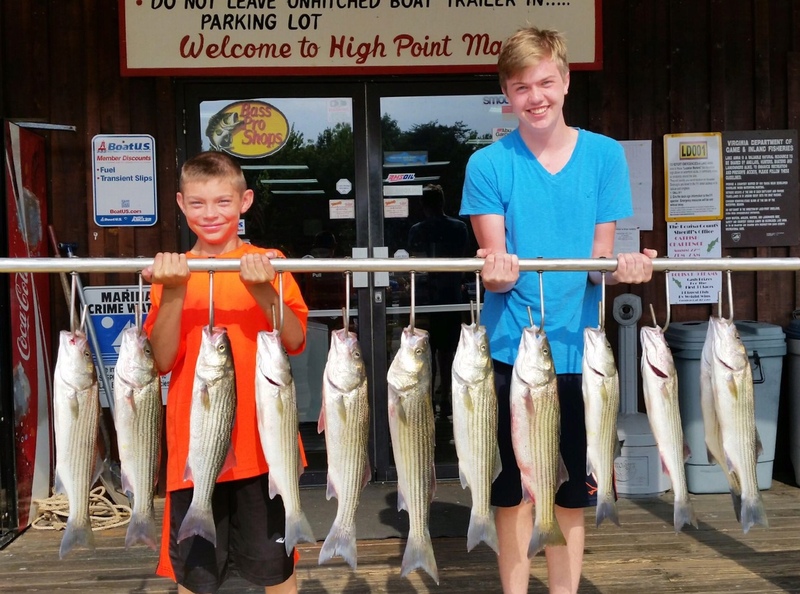 We had a lot of fun this morning catching Stripers and Margus will have good memories of fishing in America. 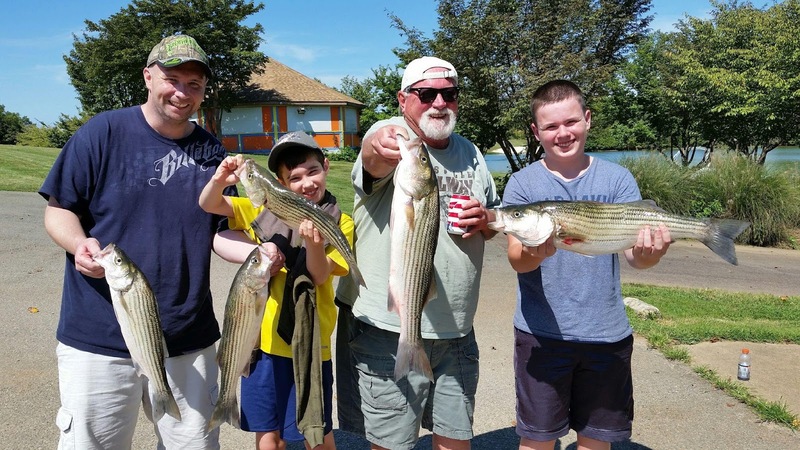 Here is a picture of some happy Fishermen. 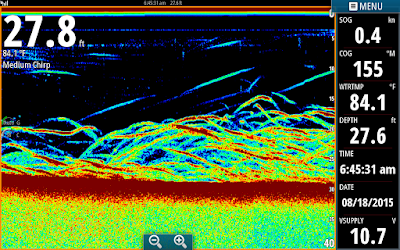 This is a screen shot that I popped yesterday morning when we were all over our first school of Stripers. 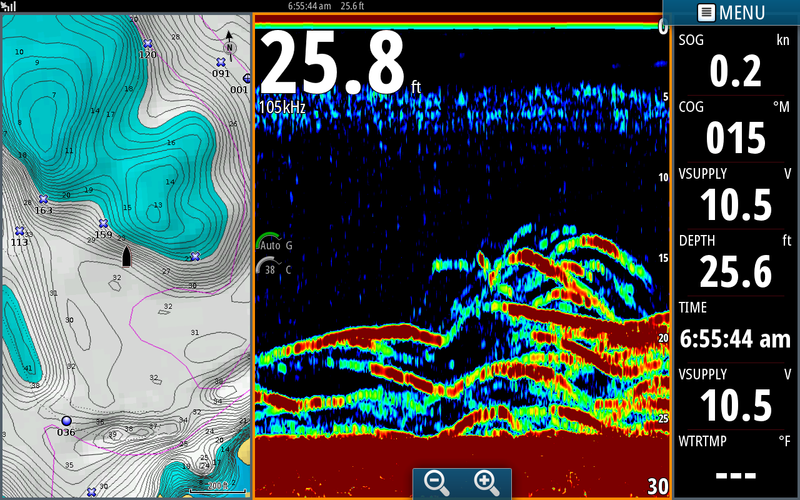 As you can see we had Stripers from 15 to 28 feet deep here. 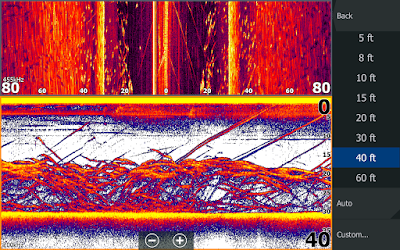 Whenever you see this you should have all your rods hooked up. I took this shot a little later in the morning. I lost the deeper schools of earlier on in the day so I decided to look shallower and look what we found....Stripers. 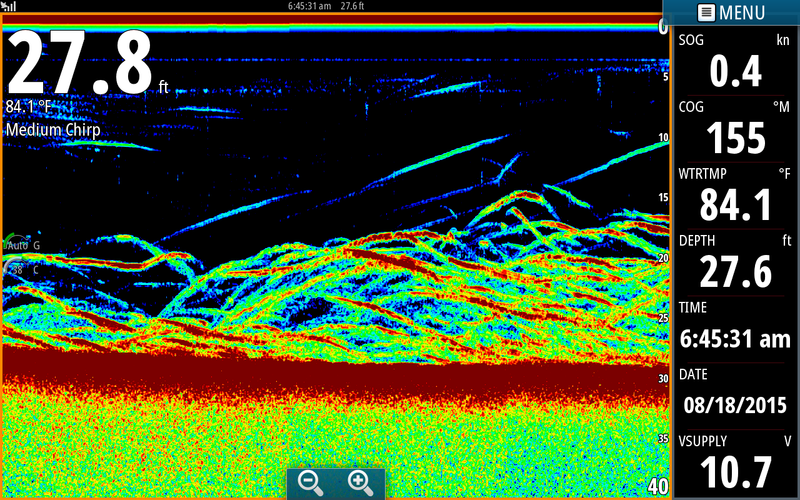 This shot came from a Lowrance HDS12. 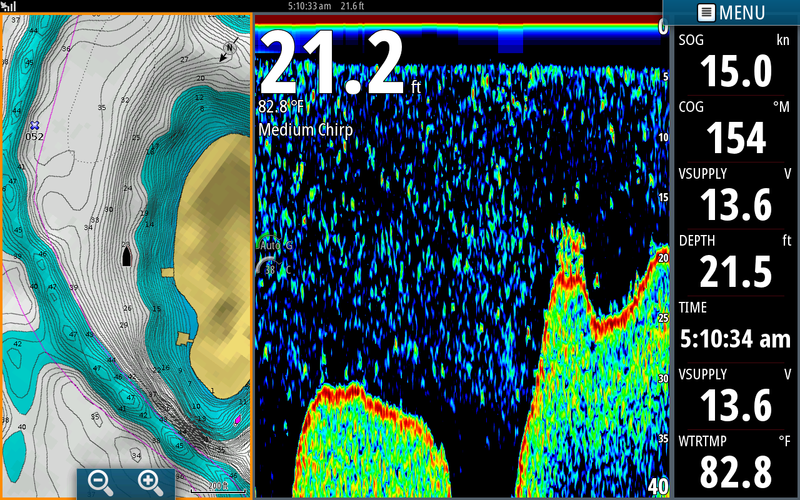 It was taken at the same time as the top Simrad screen shot was. In both shots you can clearly see how many Stripers are congregated below the boat. 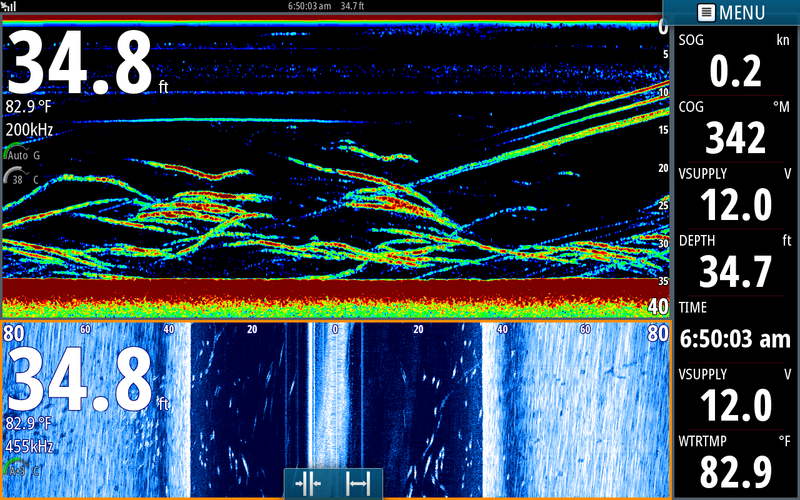 Notice the smaller fish hugging the bottom under the Stripers on the left half of the sonar screen. 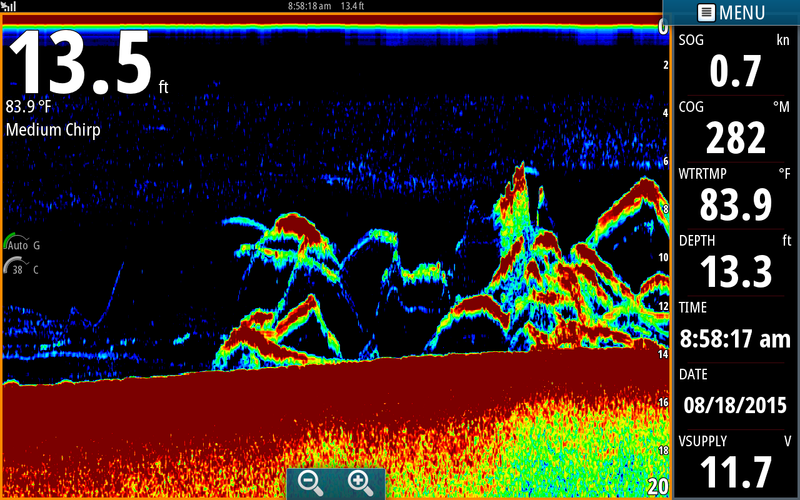 These are Catfish gobbling up the scraps the Stripers create when they attack a school of bait. Catfish hang below and behind schools of Stripers. Once you start catching Cats, either raise your baits up or get back into the nucleus of the Striper school. The top part of this screen shows side scan doing its job. Each vertical dash is a Striper. I kept the boat positioned right in the middle of the school. 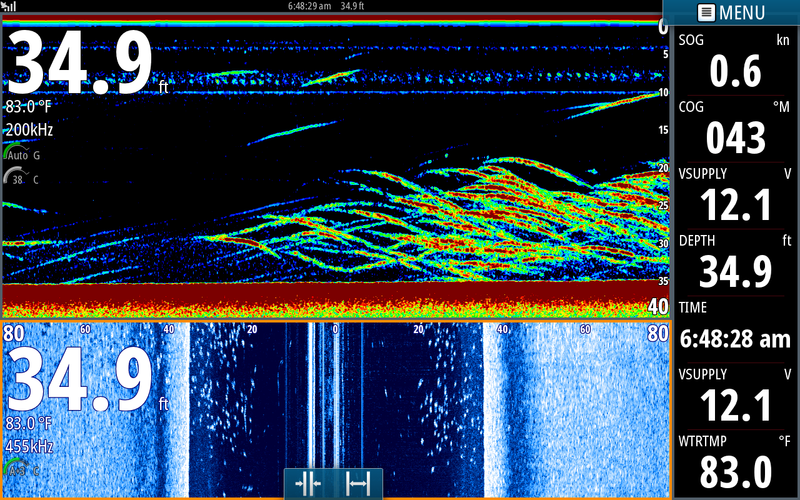 Notice I have hundreds of Stripers on both sides of the boat. Without Side scan I could have lost the school within minutes. 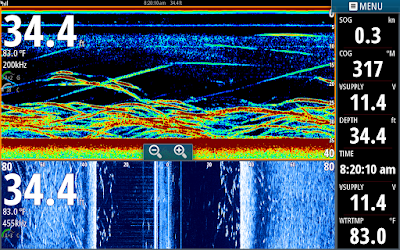 Are you fishing without this technology? If you are you probably are simply fishing, not catching. 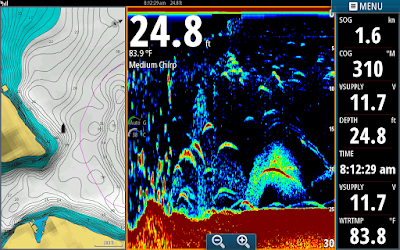 Want to get hooked up with a Simrad or a Lowrance at a good price? It's the time of year for Anthony and myself to replace our Pro Staff units. Email me at Jim_Hemby@hotmail.com if you are interested. 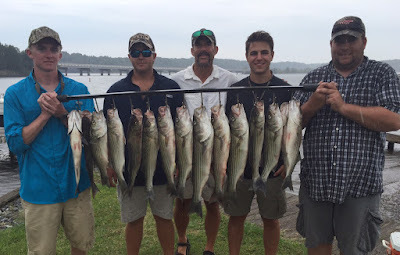 Today was a fun day for me, every year I take out the Va. Game and Inland Fisheries biologists for a morning of fishing. 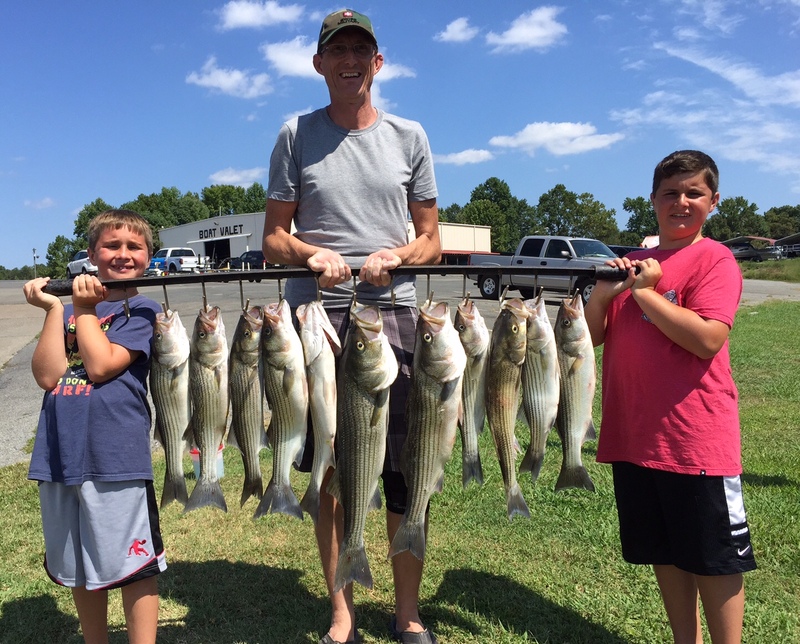 They get to reap some of the rewards of their labor by catching the fish that they manage and stock. I enjoy getting into their heads about the overall condition of the lake but more importantly the Striper population and their plans for stocking Stripers in the future at Lake Anna. 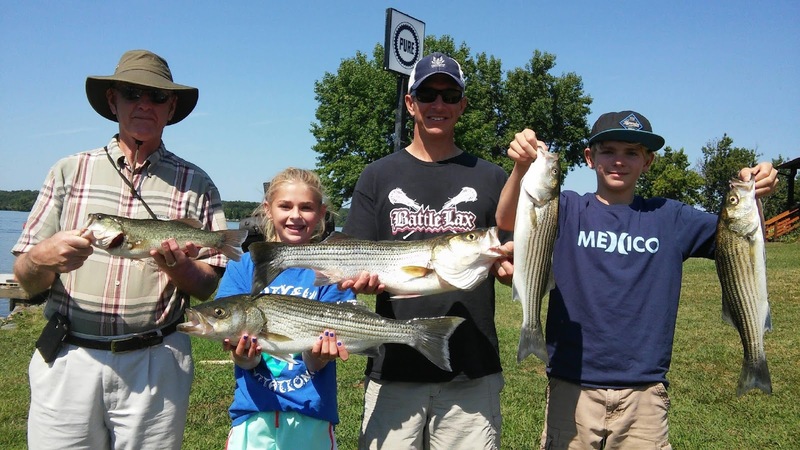 Recently they have stocked Hybrid Stripers which have grown to 12 to 15 inches already and also introduced Saugeye [a cross between Saugers and Walleye] which has grown over 20 inches to date. 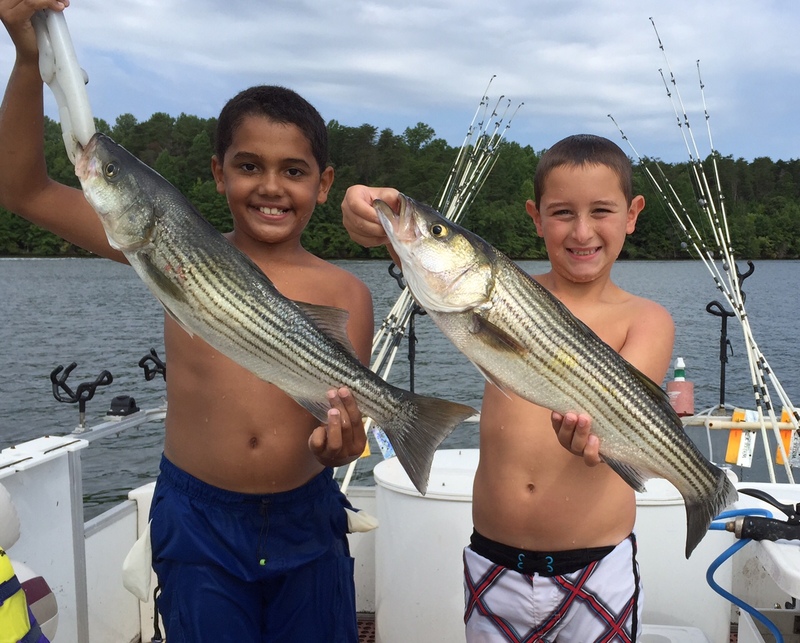 This morning we started off well by boating about a dozen Stripers in the first 30 minutes of fishing. Wish the rest of the morning could have went as well but the schools dissipated fairly rapidly and we had to work for every fish thereafter. The water temperature has gone up a few degrees in the last week which has schooled the Stripers up much better than in the previous weeks. This morning we caught about 30 Stripers and a dozen Catfish. 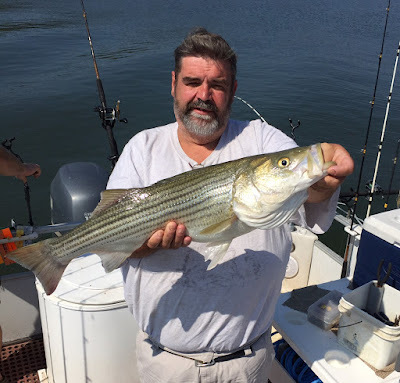 Someone at the marina told me I probably should have taken them to a barren area so they would want to stock more Stripers next year but these guys do a great job of keeping a great Striper fishery in a lake that is difficult to manage due to some unfavorable conditions the lake has. 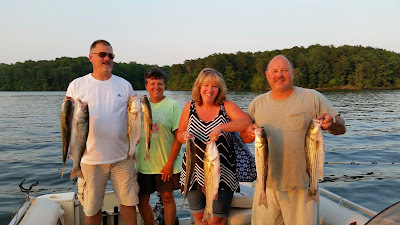 Last year I took them out and had our best day ever on the lake for catching Stripers. 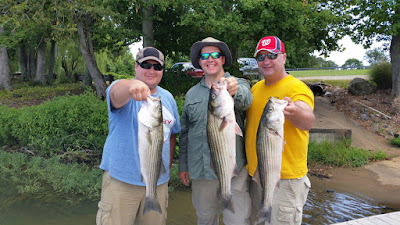 We boated 270 Stripers by 1 o'clock that day. 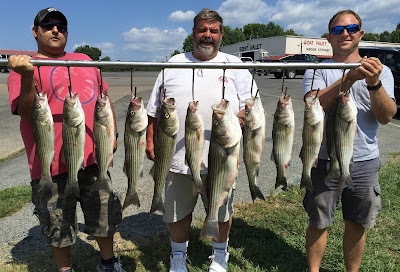 We kept our limits and released all the rest of the fish to fight again another day. Now there is a testament to a job well done. Today the boys wanted to go tubing so DP and I took the boys out for a couple hours this morning. We got on the water about 6, drove around for about 20 minutes looking for bait, saw a school, threw the net and caught 200 in one cast. We looked for about 15 minutes for Stripers but everywhere I went there were boats so I decided to go somewhere where it was peaceful. 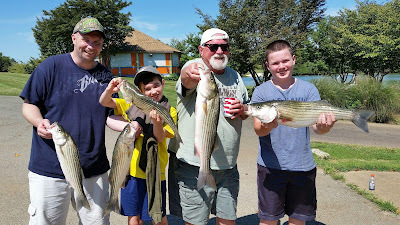 We caught fish for two two hours straight then took the boys tubing for an hour before getting off the water around 10. The boys are holding up a couple they caught together. 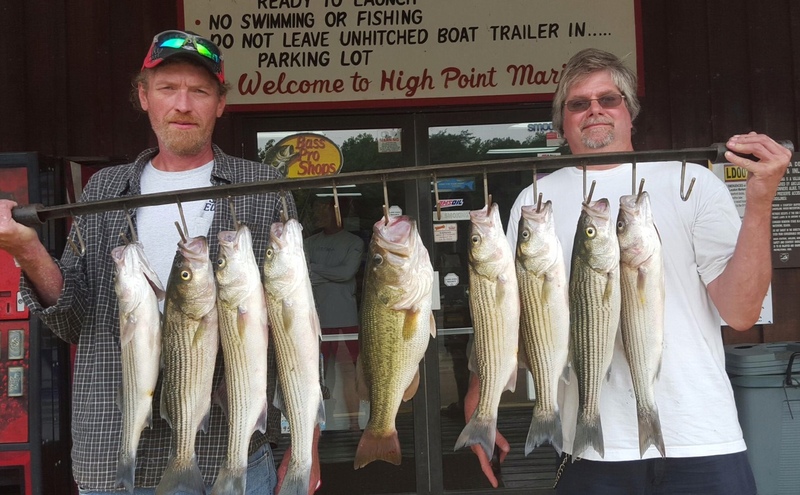 Tony and I caught bait early and picked our clients up at 6 at High Point. I set up over 35 foot flats early and we started catching fish within the first 5 minutes of the morning. We were not on schools but were targeting small pods of Stripers. We caught fish at a rate of about 1 every 5 minutes or so. Before we knew it we were getting low on bait so we went and caught 150 more and headed down lake away from the boat traffic. We looked for quite awhile until I decided to set up in an area that was opposite of what we had been doing. 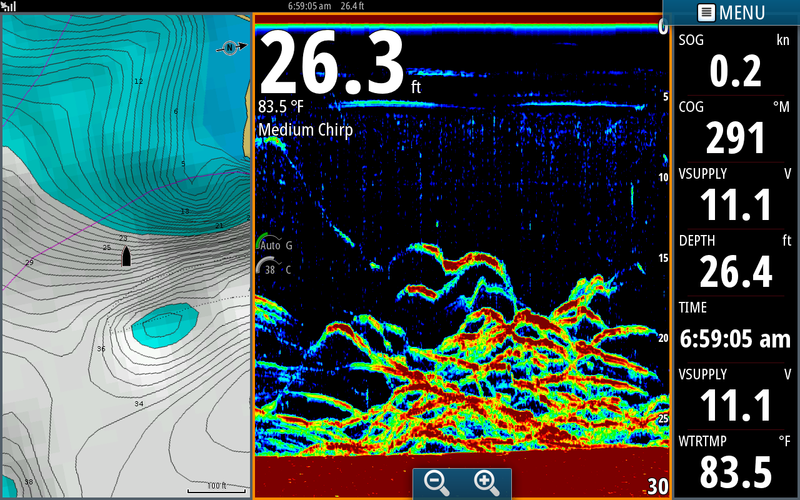 We had looked for fish and not seen large schools so I told the guys lets do something Bass Ackwards. 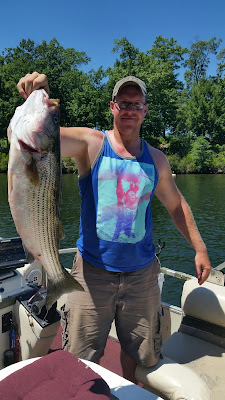 We set our baits out and immediately John hooked up with a hog. The rod was doubled over and everyone was yelling at him to get it out of the holder. 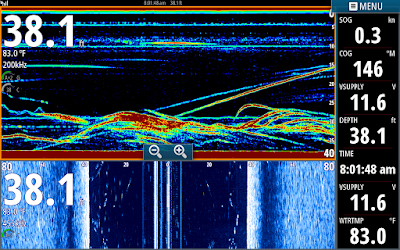 after 8 to 10 seconds he still did not have the rod out and the fish was pulling drag and had gone under the boat and was heading uplake. 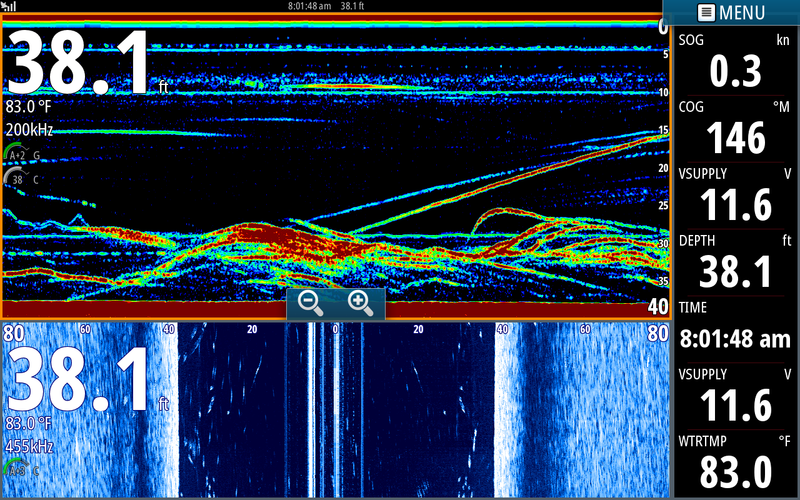 As things happened, John never got the rod out and the fish broke the line off on the bottom of the boat. We continued to work the area and popped a few nice fish there. Fishing was not great today but we all had a lot of fun together. I lost count of how many fish we caught but I think it was around 30. If only John could have got that rod out of the holder!!!!! Greentop is having a great sale coming up soon that you should not miss. 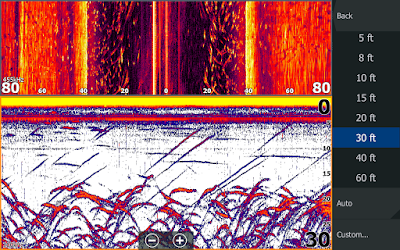 In addition to great pricing on many items on Saturday, August 15th Mark Sullivan from Navico will be at Greentop giving seminars about Lowrance and Simrad products. In addition to Mark Pro Staffers Anthony Hicks and myself Jim Hemby will be there to assist you in getting the most out of your Depth Finders. 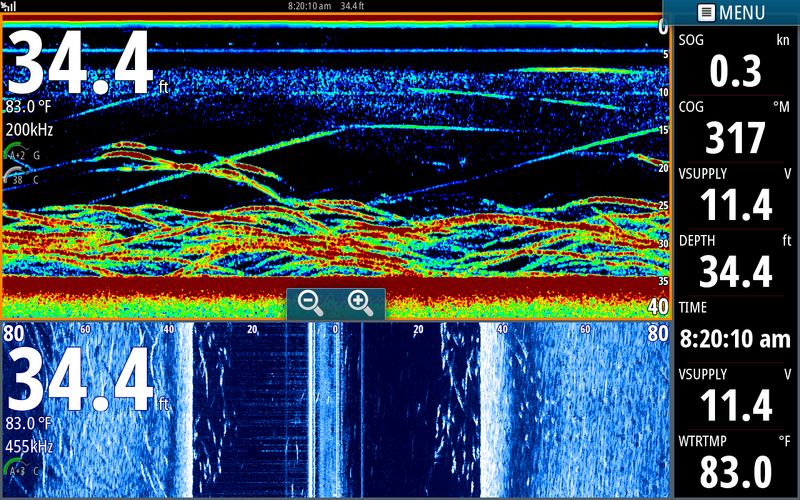 We can help you fine tune you Lowrance or Simrad to the body of water you fish and answer any "How do I" questions you may have. I will also have my screenshots that you see on my journal and facebook pages there. We will be able to help you with setting up your pages to look like mine and discuss in detail what you are looking at on the screen shots. Take advantage of this special Greentop event to learn about the Best Depth Finders on the market. For more information about the event go to www.greentophuntfish.com or call 804 550 2188 and press options 5 then 2 for the electronics department.